Heating And Air Conditioning Repair Flemington: What is MERV Rating and Why Does It Matter? 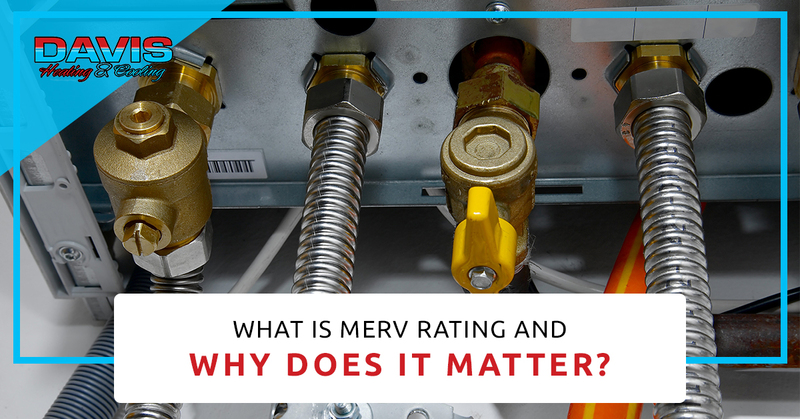 What is MERV Rating and Why Does It Matter? Welcome back to our blog here at Davis Heating & Cooling. If you keep up with our blogs regularly, you know that we’re always trying to keep you up to date on the latest in HVAC information and keep you informed about anything you can be doing to reduce monthly energy bills or improve the life of your system. One thing we haven’t covered yet is your air filtration system. Although your HVAC technician at Davis Heating & Cooling would be glad to help you out if you need it, most homeowners replace their own filters. Read on to learn more. What is Your MERV Rating? MERV stands for Minimum Efficiency Reporting Value. This value is assigned to each filter on the market to help you understand its effectiveness. This system was developed by the American Society of Heating to help homeowners just like you determine the right air filter for their home and their preferences. Some of the particles used in testing MERV rating include dust mites, textile and carpet fibers, bacteria and tobacco smoke, dust, pet dander and hair, mold spores, and pollen. These particles are used in testing because they are well-known allergens that can be found around your house. Although you may assume that the higher the MERV rating, the better. However, this is not always the case. Higher MERV rating filters block smaller particles meaning there is a higher potential for air resistance within your system. Higher MERV rating filters will require you to change them more frequently or risk high energy bills. It’s also recommended that you only use these filters if your home is already fairly clean. If your home is filled with lots of dog hair or dust, you’re probably going to want a filter with a lower MERV rating. Depending on your home and the type of filter you have installed, you may need to change your filters several times a year. However, it’s important that you check them monthly to ensure that there isn’t a large about of debris built up on them. If cost is a concern for you, do some searching online. Many retailers will offer them in bulk for cheaper, so if you know just the type of filter you like, you can save a little bit of money. Your local heating and cooling expert is also a great resource and will be able to recommend the best choice for your home and your goals. Although picking the right MERV rating filter may seem like common sense, there’s a lot of science that goes into it and our heating and cooling specialists here at Davis Heating & Cooling will be able to help. With over 30 years of experience, we are able to provide homeowners in the Flemington area with reliable and quality furnace repair and ac repairs and much more. If you’re ready to get started, give us a call today.